As most people reading this blog know, Mandarin has about 1,300 syllables (interjections and loan words complicate the count a little). If tones — a basic part of the language — are disregarded, the number of drops to 400 and something syllables. Given 410 or so basic syllables and 4 tones — one of these days I need to write something more on the wrongful neglect of the so-called neutral tone — some people might expect there to be more like 1,640 syllables instead of about 1,300. The reason for the lower number is that not all syllables exist in all four tones. 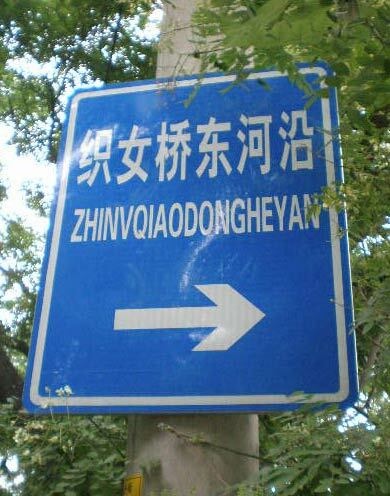 For example, quite clearly the official language of Zhōngguó does not lack zhōng … or zhǒng or zhòng. But zhóng is another matter. So not all possible tonal variations of those 400-something syllables appear in modern standard Mandarin. But what about letters? If you look at the official alphabet for Hanyu Pinyin, it’s exactly the same as that for English (other than in pronunciation, of course), which is a bit odd, especially considering that Pinyin doesn’t use the letter v (or at least isn’t supposed to for Mandarin words). Are there any of those possible glyphs that don’t appear at all — at least as given in the large ABC Comprehensive Chinese-English Dictionary? The answer, perhaps surprisingly, is yes. It doesn’t take much thought to eliminate C as the answer. “Nǚ” (woman) is one of those first-couple-of-Mandarin-lessons vocabulary terms. And the word for green (lǜsè) is hardly obscure either. It might be harder to think of a word with the letter ǘ; but there are some. Donkey (lǘ) is probably the most common. So the answer is A: ǖ.
It’s important to note that the lack of ǖ is in appearance only. The sound ǖ occurs in plenty of Mandarin words; it’s just that Pinyin’s simplified orthography calls for writing “u” instead where ǖ follows j, q, x, or y. But even though I didn’t find an example of ǖ, I’d encourage font designers not to scratch it from their list of must-have glyphs for Pinyin faces, especially since teachers will no doubt want to continue giving tone-pattern drills based on four tones for all vowels, regardless. Also, someone with a searchable edition of the Hanyu Da Cidian or maybe the new Oxford online edition is probably about to use the comments to point me to some obscure entry there…. Typing the letter v to produce ü is pretty standard in most Pinyin-related software — the letter v not being used in Pinyin except for loan words, and the letter ü not being found on traditional qwerty keyboards. Here’s an official sign not far from Tian’anmen Square in Beijing that provides an example of an unconverted v.
Of course there’s the usual word-parsing trouble as well, which can indeed be tricky in some cases (but not so much that everythingneedstobewrittensolidlikethis). This should be “Zhīnǚ Qiáo dōng héyán” (织女桥东河沿 / 織女橋東河沿 / Weaver Girl’s Bridge, east bank) or perhaps “Zhinü Qiao Dong Heyan” or “ZHINÜ QIAO DONG HEYAN”. Some people might not think this is worth categorizing as a problem. My position, however, is that government has an obligation to write things properly on its official signage. (If this were on some ad hoc sign put up privately it would still be interesting but less problematic.) So, if anyone’s OK with the V, would you also be OK with, say, “之釹喬冬和言”? OTOH, as mistakes go, at least v remains distinct, unlike when ü gets incorrectly written as u, which is so common in Taiwan that I don’t recall ever having seen a ü on official signage. (Pinyin has the following distinct pairs: nü and nu, lü and lu; nüe (rare) and lüe are also used but not nue or lue since the latter two sounds are not used in modern standard Mandarin.